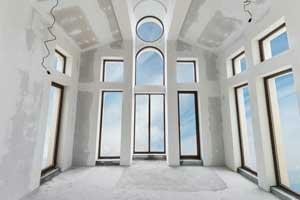 David Green Construction brings more than 40 years experience to bare. David Green is a second-generation builder who began helping his father’s business when he was 15 years old, eventually earning the title of a state accredited Master Builder. He now proudly offers remodeling in Tigard and the Greater Metro area. David and his team handle all aspects of remodeling and building, from gaining the proper permits, to design and installation. Whether you have a detailed remodeling project ready to be started or only a vague idea of what you want done, this hand-picked team has the expertise to make it happen. David delivers superior quality in everything he does. Just ask for references! There is a long list of past customers ready and willing to sing the praises of this company’s good works. In fact, few remodeling companies can boast of absolutely zero complaints filed with the Builder’s Board—David can! David’s team of professional craftsman handle projects large and small. They build gourmet kitchens, transform master bathrooms into places of luxury, as well as install outdoor kitchens, create centerpiece fireplaces, finished basements, and much, much more! As a full-service remodeling and building company, they have solutions to all your building needs. This team puts the customer first. They take the time to listen to your needs and draw up then adjust plans in accordance to your direction. They want the finished remodeling project to look and function just the way you had in mind. That all starts with careful listening and open communication. The level of experience this team has means they know just how to successfully create not only functional remodeling plans, but also a functional budget. If a company is inexperienced with the reality of costs for different levels of remolding, from small- to large-scale projects, they will not be able to accurately quote and lay out a realistic budget. This is why many companies wind up unable to stick to the original budget. David and his experienced project managers get all the necessary details at the beginning of a project so they can be create and accurate budget that is then shared openly and honestly with the customer. When they say quality is in the details, they don’t just mean in the remodeling details (although quality is definitely included there too). They also mean quality is in the planning, budgeting, permitting, and the building! How are our passionate remodeling contractors a cut above? When you are ready to talk about plans for remodeling in Tigard or surrounding areas, give David Green Construction a call. You will get upfront, straightforward information from a trusted company. You will love the work they do! 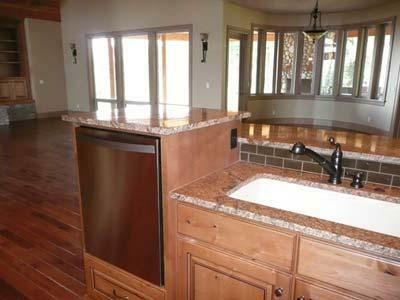 We also proudly offer remodeling in Lake Oswego, Tualatin, and the Greater Metro area.